Herbs have been used for thousands of years, for a variety of needs and uses. Well known for their fragrance, healing properties and flavor, and even used in religious ceremonies or to ward off evil spirits, herbs have been cultivated in all corners of the world. This article is a detailed guide to growing herbs, with herb garden ideas and techniques that I hope will inspire you to grow your own herb garden. Herbs are easy to cultivate. Some prefer it dry and hot, some like it wetter and cooler. Some are great for the kitchen, others for helping cure a sore throat. Herbs are used to aid sleep, repel insects, sooth pain, and calm babies. There are used to flavor food AND drinks. If you don’t have an evil spirit problem, this article is for you. You may be a total novice, so treat this as a herb gardening for beginners guide. If you are an experienced herb gardener, you might just find some interesting new takes on how, and WHERE to grow herbs. Herbs are still a worthwhile plant to grow in the 21st century. Even though they can be purchased in the supermarket, a kitchen herb garden can keep you stocked with fresh herbs for a large part of the year. Freezing herbs is also simple, they retain their flavor well. More on that later. This article will give you information on growing herbs organically (my preferred option), where you can grow them, the best herbs to grow for great results, how to grow herbs in different soil types, and even in no soil at all! We’ll cover the best herbs to grow indoors and even look at vertical herb gardening, great if you are short on space or live in an apartment. But let’s start at the beginning…. A herb, in the broadest definition, is simply a plant that someone has a use for, or has been used for a specific purpose. Today, we tend to segment herbs by their uses. Culinary herbs for use in cooking, medicinal herbs for, er…medicinal uses, decorative or ornamental herbs (such as Silver Thyme) which look great in a border but aren’t generally eaten, and finally, aromatic herbs like coriander and chervil, which are also culinary, but have a pungent odor. Other uses for herbs are making a comeback, especially in the homesteading lifestyle, where people are once again, using herbs for cleaning, for dyeing fabrics, for worming animals, and much more. The holistic health movement is still using herbs to help cure illness and to aid good health. We all tend to think of herbs as coming is small pots from the supermarket, but in reality, annuals, bi-annual, perennials, and even trees can have herbal qualities. The leaves are generally used, but bark, roots, seeds, and fruits can be identified as having herbal uses. There are some herbs that won’t do you any good at all if ingested. But for most people growing herbs indoors or in the garden, handling herbs is rarely an issue. If you forage, you may discover some herbs that can be detrimental to your health. Never eat something unless you are sure. As we’re going to be learning about herb gardening, we’ll be planting herb seeds or buying in stock plants for the garden center, all fine to eat and handle (I hope). Herbs ready for planting out. Herbs have a lot going for them, or for us. They are typically really easy to grow, they look and smell wonderful, and in many cases, they don’t suffer from pest problems like many vegetables and fruit do. Disease is hardly ever an issue, so growing your own herbs is a no-brainer, well, I think so. A DIY herb garden ensures that you have fresh herbs to hand whenever you need them, and growing them organically at home means you can be certain they have not been treated with pesticides, not so easy to ascertain when you pick them up at the grocery store. We’re going to discuss growing herbs indoors in a moment, but adding a herb garden to your outside space will help increase the diversity in your garden, not just of plants, but also of useful insects that will grace you with their presence. Diversity and companion planting is one of the key principles or organic gardening. There truly are so many herbs to choose from, you’ll find something for every occasion, and I strongly suggest you choose a broad range of herbs to grow, you never know what you might need, or when. Herbs can be selected for any purpose and can be grown in many ways. 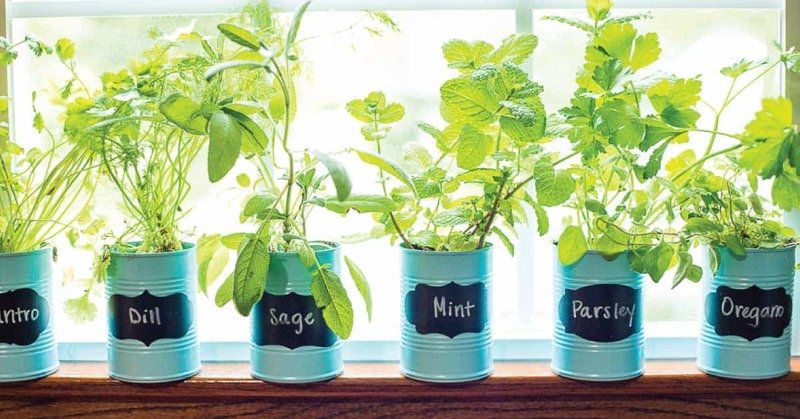 A kitchen herb garden may sit on a sunny windowsill. 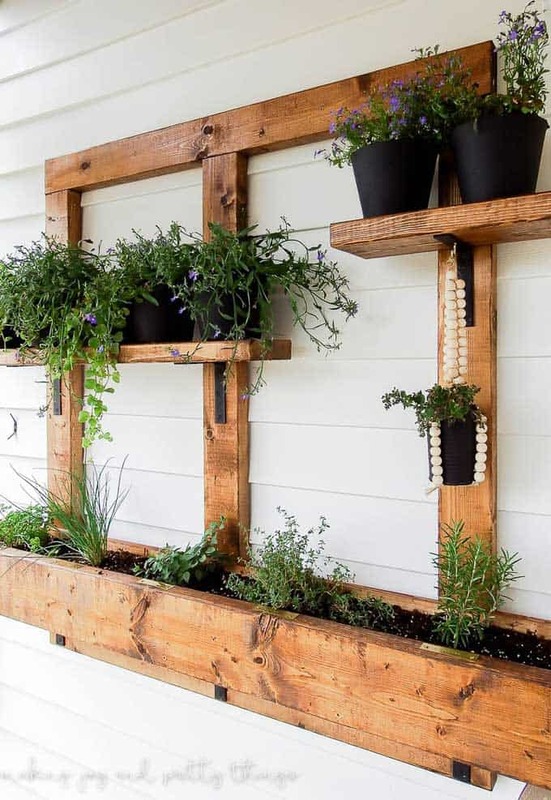 A vertical herb garden may sit just outside the kitchen door or on the verandah, close to the house for easy harvesting. Herbaceous borders can be constructed anywhere. If you want to try hydroponic herb gardening, with water and nutrients but NO SOIL, I’ll touch on that a little later. It’s truly amazing where herbs can grow. Mediterranean herbs do great in dry sandy soils, or even between cracks in paving. There are creeping and climbing varieties, and some that spread and provide ground cover. They come in all sizes, from Lovage which grows to 2m high, right down to Corsican mint which is a tiny ground-hugging plant. As mentioned earlier, herbs attract wildlife, I’ll be providing a table a little later so you can attract insects and birds with your herb selection. 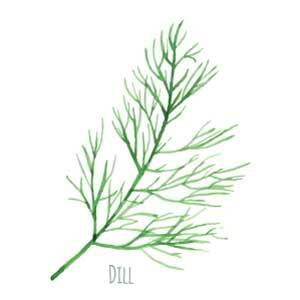 The culinary uses for herbs are endless, there are herbs for both sweet and savory dishes. 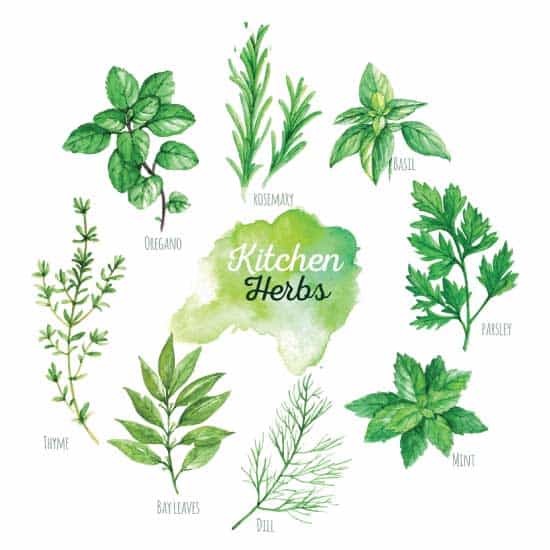 Stocks, soups, casseroles, stews, pies, salads, desserts and drinks can all benefit from the right herb.A do-it-yourself herb garden can have any of these at your fingertips. For a cocktail in the garden, the addition of lemon verbena or mint is great. Coriander (cilantro) is a must-have for a Thai curry..yum. Aromatic and medicinal herbs have many applications. One traditional use is to keep aromatic herbs in drawers and cupboards to repel moths. Still used today, herbs as repellents are as useful as ever. Herbs have been used and still are used, in ceremonies and rituals. We decorate our houses with mistletoe, we hang sprigs of holly around the house at Christmas, herbs used to have great significance at weddings. As you can see, there is a multitude of used for the herbs you grow in your herb garden. Let us move on and look at where to grow herbs. Lucky for us, herbs grow well in a wide variety of situations. 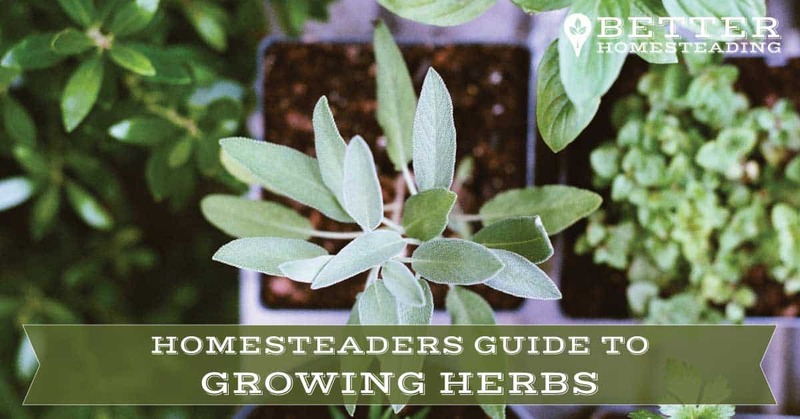 Of course, the climate you live in will have a bearing on whether the herbs you choose will thrive, or even survive outside all year round, but in most climates, it’s certainly possible to grow a wide variety to suit your needs. 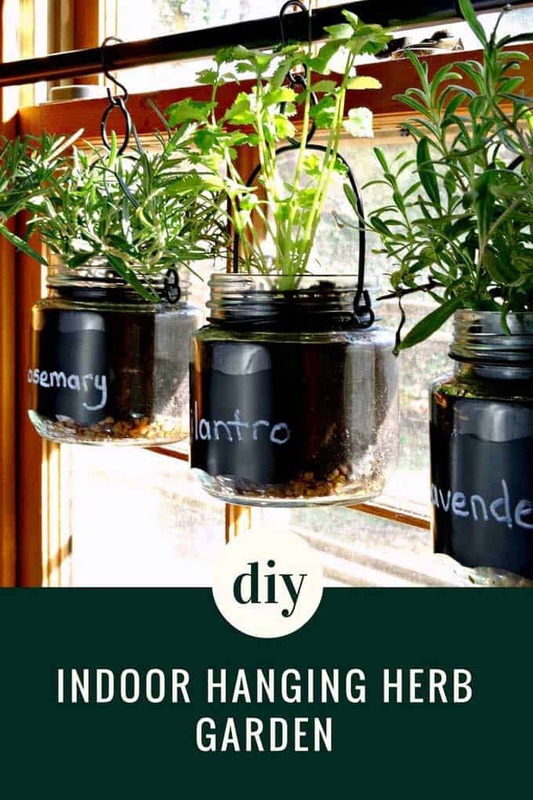 An indoor herb planter on a window with a sunny aspect, herb pots in a vertical herb garden, or trailing plants in a hanging herb garden can all look beautiful and provide a plentiful bounty. Plant herbs according to your personal taste when choosing the best herbs to grow, not just based on ease of growing. If you want more than just herbs for personal use and are hoping to start a little cottage industry, then it will probably pay to turn over a large space and consider a herb garden design to allow you to upscale. Let’s being by looking at the possibilities for placement of a herb garden, and I’ll provide a little inspiration for you. After that, we’ll move on to conditions for herbs. Some like it hot and dry, others prefer some shade, others like the moist environment. I’ll but a table together to give you a nice visual. The indoor herb garden is the epitome of good design. The plants are close to where they will be used, the climate is more controllable than outside, indoor plants tend to get looked after a lot more than outdoor ones. AND, you avoid running out into the garden in the pouring rain when you need a sprig of rosemary for the Sunday roast. Selecting a sunny windowsill is perfect, but be mindful that some plants love the hot dry climate, others like it moist. Give a little consideration to your Meadowsweet or Water Mint when you place it in a scorchingly how window in the middle of summer. Find The Best Spot – As mentioned, herbs need a lot of natural light to grow well. 4-5 hours of sun each day is plenty. If you live in the Northern hemisphere, a North-facing window is not going to give your newly planted herbs the light they need. south or South-West facing windows are a good bet. Drainage, Drainage, Drainage – Drainage is always something that needs to be considered with indoor hanging planters. Leaving a herb plant with their roots in water is a surefire way of causing the roots to rot, and your much-loved herb to die. Herb pots with drainage holes should have some stones of broken crock placed in the bottom, and the pot place on a tray or saucer. When practicing container herb gardening in containers without drainage holes, it’s essential to add some large stones or coarse gravel to the bottom. And don’t overwater! Clay pots look awesome and are good for drainage, but if placed in a hot position, they can cause the potting mix to dry out quickly. If you have this issue, a plastic pot might work better, even if it doesn’t look so good. Herbs right in the kitchen, what could be better? Having practiced permaculture for many years (a garden design and planning system for sustainable food production), bringing frequently used plants as close as possible to the kitchen ensures that you actually use them. A herb garden, even 30 steps from the back door will often become forlorn and untended.No such chance with this indoor herb garden. 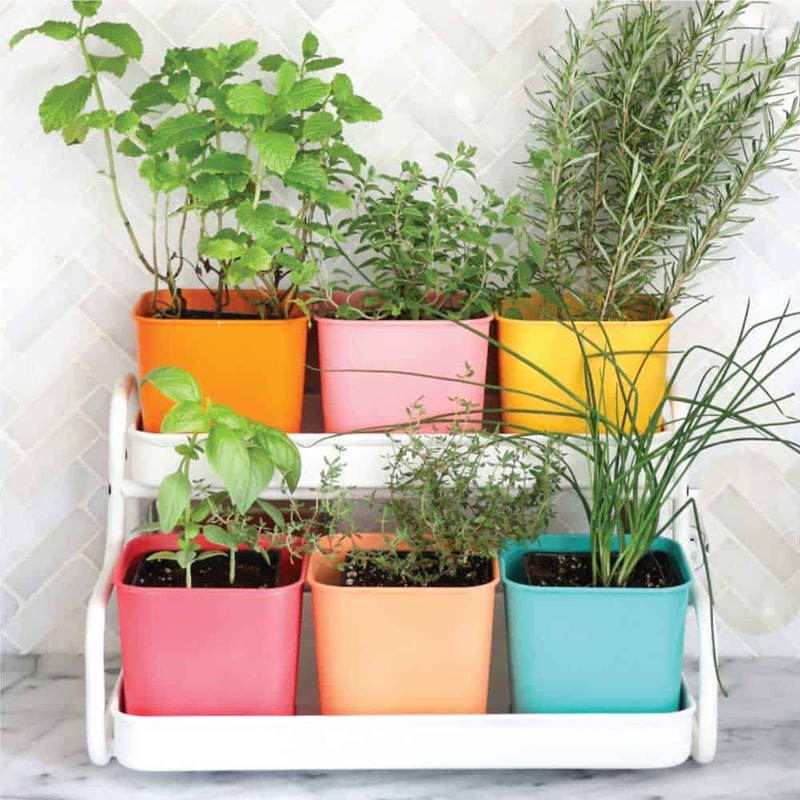 A kitchen herb garden brings the culinary herb garden right to your fingertips. The one above, image thanks to Observaydecora is truly beautiful. Amazon does something not quite as attractive, but neat and functional nonetheless. Check it out here. 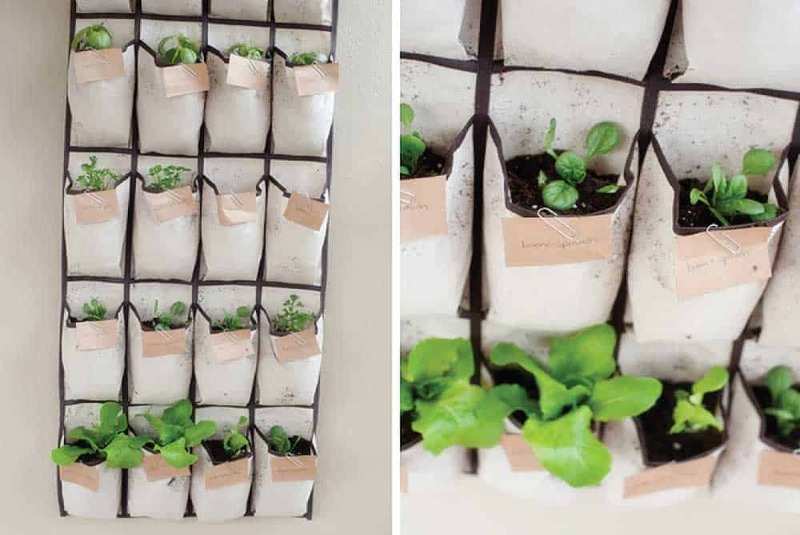 A beautiful and ingenious use of tin cans for planting herbs. Image: The Gracious Housewife. You can plant herbs in just about anything. Many herbs grow perfectly well in mugs, jars, pots, old water cans, or even tin cans as The Gracious Wife demonstrates in the above image. Looking for ways to create something unique, save some money, and recycle wherever possible is an exciting idea for the homesteader. Whether you want to be creative or just pick something up at the store, with the tiniest bit of motivation you can have your indoor herb garden up and growing in the next few hours. Sounds exciting? Go for it! I wrote an article on growing herbs in pots for beginners if you want more inspiration. If the idea of soil bothers you (not sure why it should, growing herbs and vegetables WITHOUT soil is extremely popular. It’s called hydroponics and has been used in the commercial sector for years. But with just a few items from the hardware store, you could be growing in your hydroponic herb garden in days. You can grow just about any plant without soil. Plants tend to grow a lot faster under hydroponic cultivation and taste better too. This is due to the almost perfect conditions that hydroponics can produce. It is possible to provide a full range of nutrients for the plant to prosper when you grow herbs hydroponically. With soils becoming so depleted of nutrients, more and more people are seeing hydroponic gardening as a way to overcome this. There are options to buy complete hydroponic herb gardening kits like the Aerogarden 7 which is sold on Amazon, but it’s not too hard to make one yourself. This video below shows you how. The Planters’ Choice herb kit includes everything you need to get started. An indoor herb garden kit can be a great addition to your home if you’re not keen to source some pots, soil, and seeds yourself, or want to just dip your toes in the water with growing herbs at home. 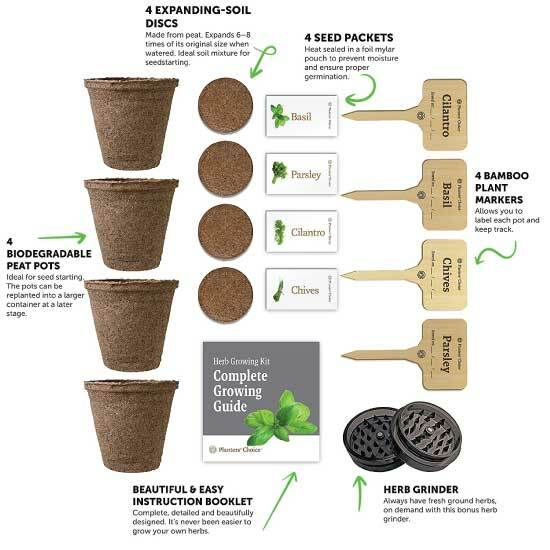 There are complete kits available, like the Planters’ Choice Organic Herb Growing Kit which retails for under $17 and includes the growing containers, potting mix, and seeds. Everything you need to get started. 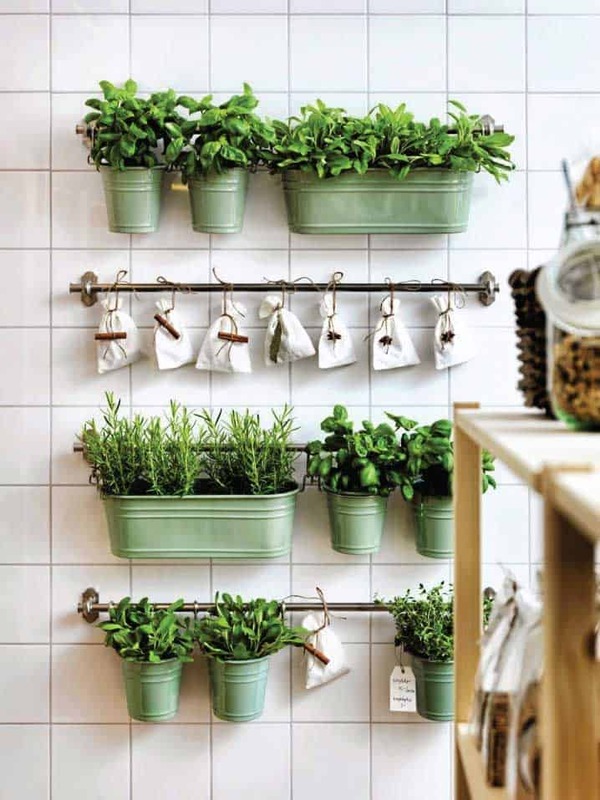 Whichever option you choose to grow herbs indoors, you’ll find it really rather easy. As long as you provide for the basic needs of the plant, warmth, light, adequate drainage and enough water, it will grow happily indoors. It’s also an excellent choice as most herbs will be pretty happy with the typical ambient indoor temperature of 70 deg F. If you are not too hot and not too cold, the plants will likely be very happy too. Most herbs will do great indoors, but I thought it would be nice to provide a list of some tasty herbs that do wonderfully well. Here are 9 of the easiest to get you started. Basil – A big fave of mine, very versatile for cooking, putting on pizza, or in salads. It can be tricky to grow during the winter in cooler places but does great in the summer months. 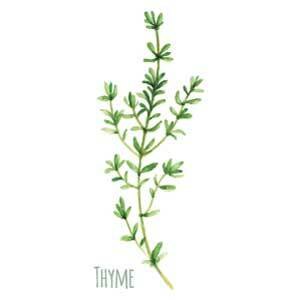 Thyme – Needs 6-8 hours of good sunlight each day, supplemental lighting can be useful. Rosemary – Likes things a little drier, can easily be overwatered. 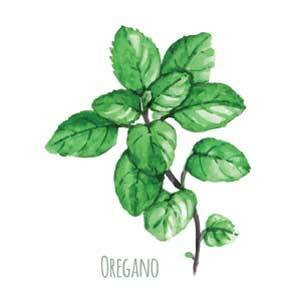 Oregano – Greek oregano is the simplest to grow, a well-lit window sill is required to give the plant 6-8 hours of good light each day. Coriander AKA Cilantro – One of my favorite herbs, love this in curries. The Vietnamese version is easier to grow than the normal variety. Mint – Grows like a weed! If planting in the garden, I like to actually plant it IN a large pot to prevent it spreading too much. Great for cocktails and for a delicious homemade mint sauce to go with roast lamb. 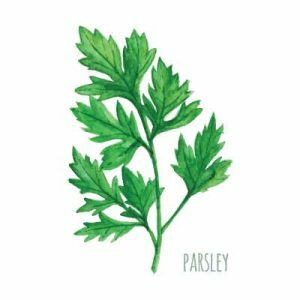 Parsley – Easy to grow, doesn’t need a lot of maintenance. Grows slowly so don’t harvest it all at once. Lemongrass – No need to put this in the soil, in fact, you shouldn’t. After using shop bought lemongrass, just put the stalk in a glass of water and it will re-sprout. The base of the stem needs to be intact. 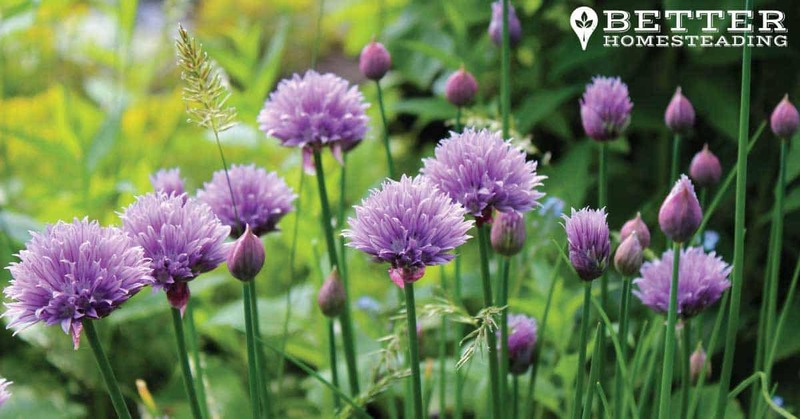 Chives – Great in the garden, the bees and insects love them, but also a hit indoors for the herb grower. Chives are really easy to grow, don’t need a lot of light. If you have chives in the garden, dig up a clump, plant it in your indoor herb planter, chop 2/3 off from the top to stimulate some new growth and you’ll be away. This isn’t a definitive list, try others, I’ve grown plenty of herbs indoors, rarely with complications. 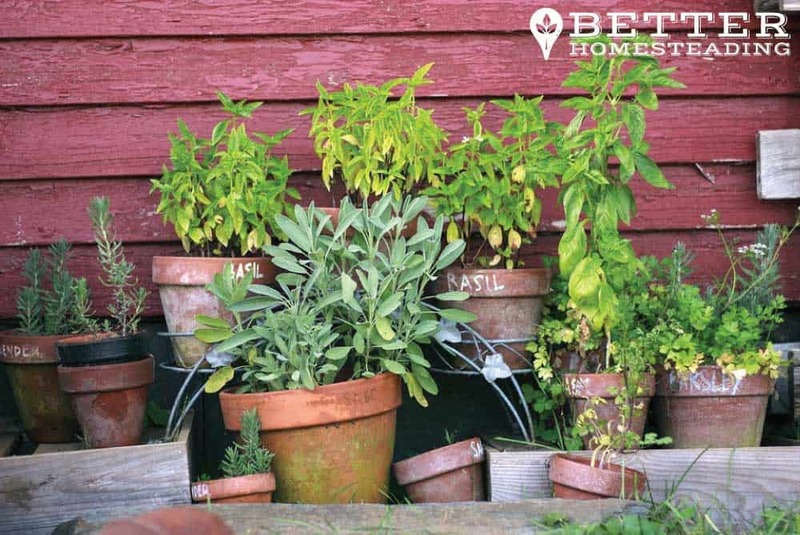 You can manage the environment easily, and look forward to a glut of tasty herbs year round. Take your chosen herb and put it into a food processor or blender. Add some filtered water and blend until smooth. Then simply pour the liquid into ice cube trays and freeze. You can then put the frozen cubes into labeled bags and throw one or two into a stew, curry or soup as you need them. Works amazingly well. 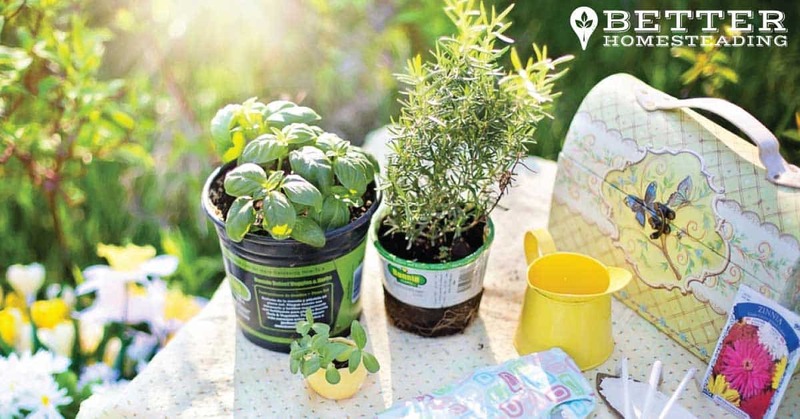 So, we’ve covered some indoor methods for growing a herb garden, how about outdoors? A simple frame and some colored pots bring an air of fun and interest to this planter. 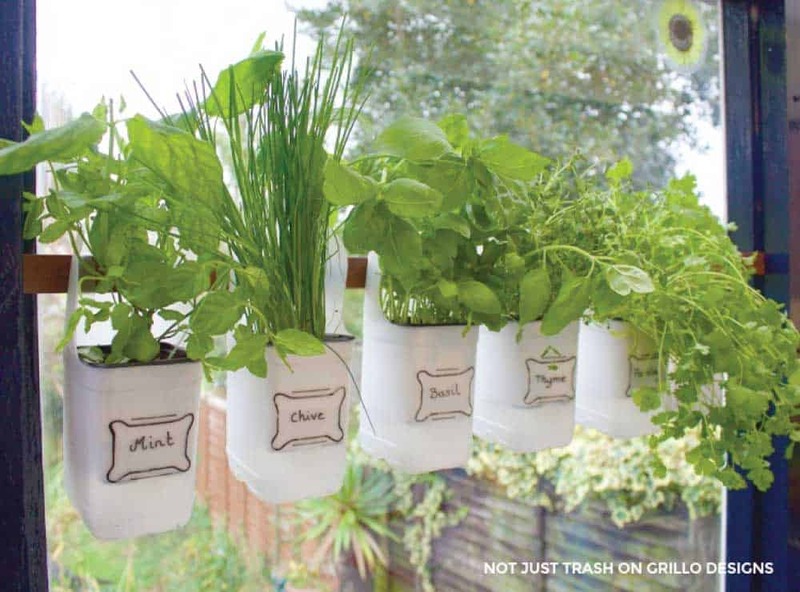 A super convenient herb garden that would look great in any kitchen. This is actually a whole pallet hanging on the wall. Lots of growing space, and you could paint the pallet with pastel shades if you wanted to dress it up a little. I like it as it is though. I love it when people think outside the box. This shoe organizer, similar items can be picked up really cheaply on Amazon is a great way to grow herbs indoors. Or even outside on a sheltered wall. One can see a little mildew forming on the fabric, which would be a pain to clean up, but still, it works and shows a good deal of creative thinking. Growing a herb garden indoors is a great thing to do, and if you have no outdoors, it may be the ONLY thing to do. Most keen gardeners and homesteaders with some open space like to put it to use for food production too. There is no problem with growing herbs indoors and outdoors. Do both, you’ll reap the rewards. An outdoor herb garden is a wonderful sight to behold. Herbs are, on the whole, quite beautiful plants that add an exciting new dimension to any border or raised bed. Their tolerance to a wide range of soils and environmental conditions makes herbs a really hands-off type of plant They are on the whole, pretty resistant to diseases and pests, and you can plant them in any existing flower or vegetable bed, or create a new one. I love having a separate herb garden for my regularly used herbs, often planting less used ones, or herbs I just love the look of, in with existing plantings (around fruit trees is a personal favorite for me. More so than indoors, the permanent outdoor herb garden needs a bit more thought. The plants are going to be far more exposed to the elements, to the wind, rain, frost, snow, or scorching sun, and with this in mind, it’s worth taking some time to do a site survey before choosing a spot for your new herb garden or planting in existing beds. Which areas of your garden get more shade than others? Are they any areas that are wetter or drier than other areas? Which areas get the most sun during the day? Selecting herbs based on their light requirements and ability to thrive in wet or dry conditions will ensure success. As an example, Thyme does really well in some partial shade, Sage loves a ton of sun, and Chervil can do pretty well in a very shady spot. I’ll add a cool infographic to the bottom of this article which shows you what to grow, where, light requirements and more. Herbs like to be grown with good drainage, this goes for indoor herb gardens, outdoor or container planting. 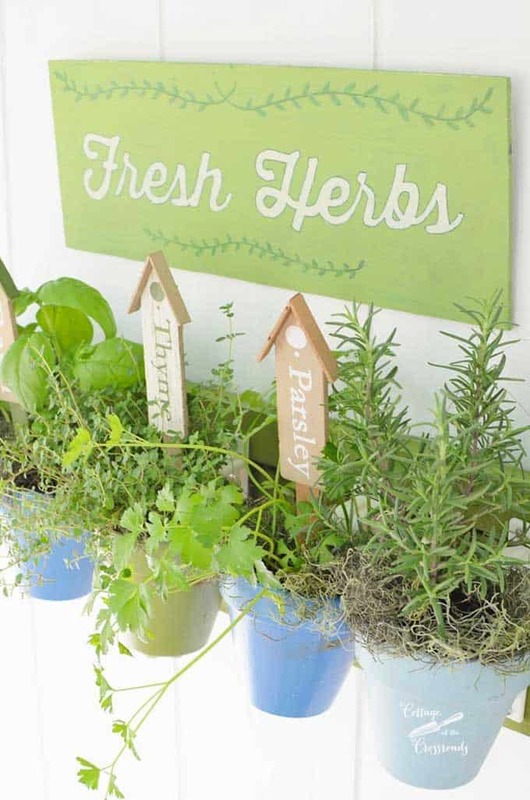 Let’s take a look at some options for how you may grow herbs outside. Planting herbs outdoors depend on your area, the cold tolerance of the herb, and critically, the last frost date. Ideally for annuals, plant your herb seeds indoors a few weeks before the last frost date for your area, which you can find out HERE, planting them out after the last frost of the season. Perennial herb seeds can be planted directly into the soil outside a few weeks BEFORE the last frost. Perfect for a balcony or limited space, or just for on a verandah or patio close to the kitchen door. 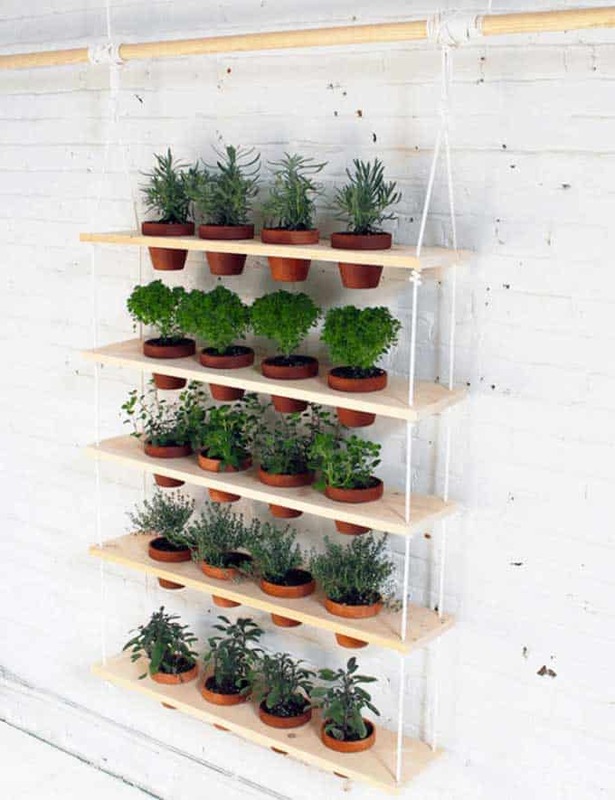 A vertical herb garden is a great space saver. 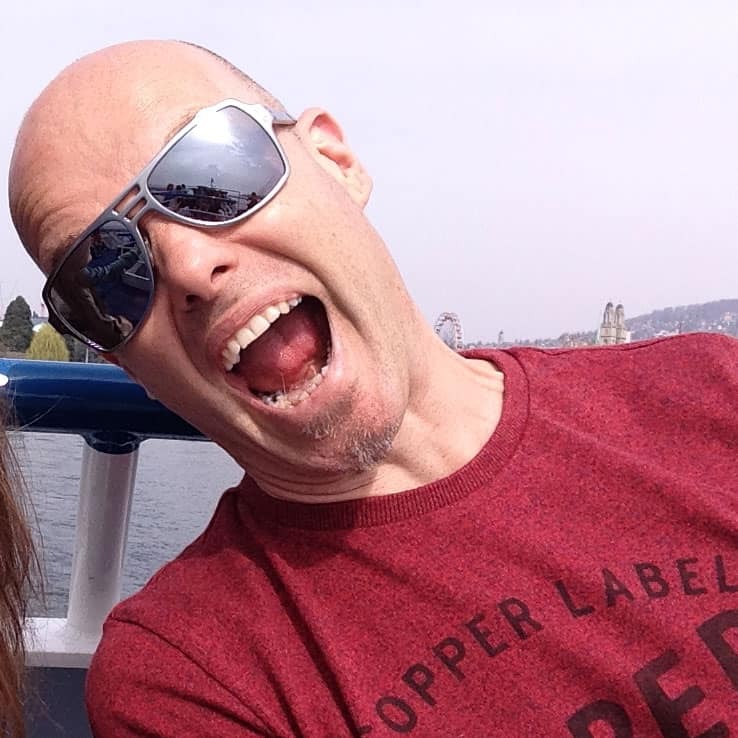 Here are a few inspirational examples to get you excited. 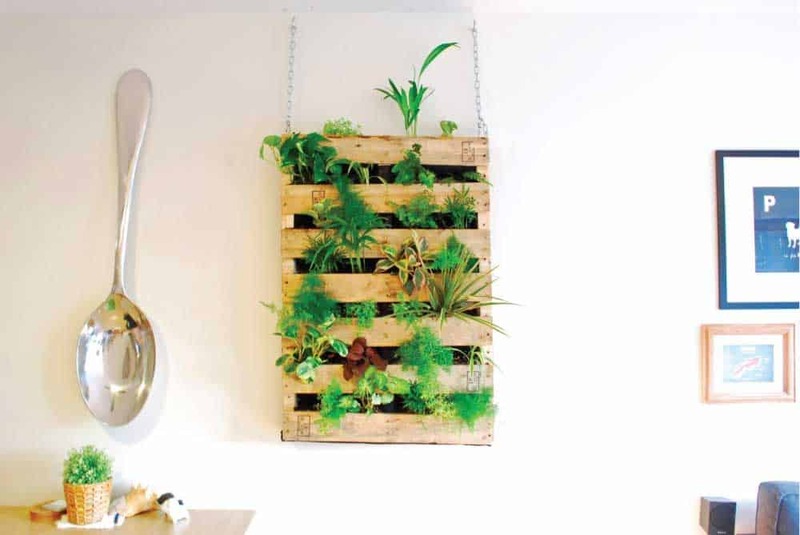 Vertical herb gardens are a great idea, and there is ALWAYS somewhere to put one. But, there are tons of other creative ways to grow herbs. 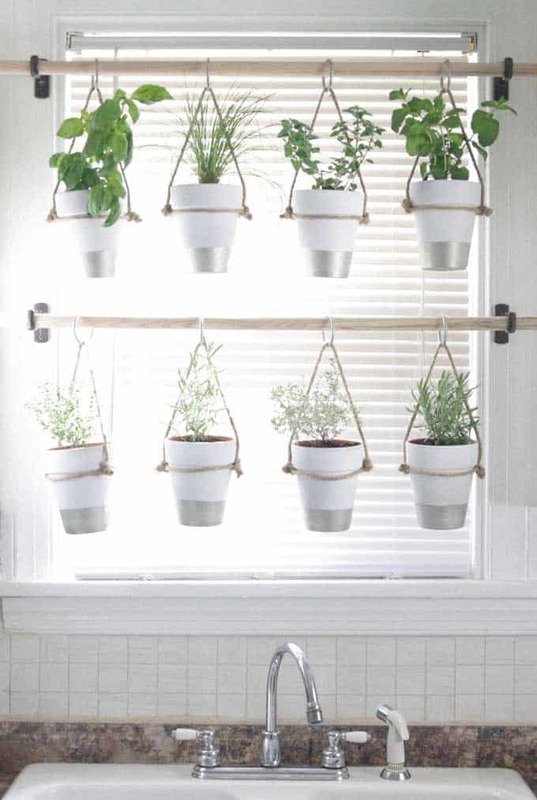 These hanging herb garden ideas are sweet! Weren’t they awesome? It’s truly inspiring to see how some people just grab what they have at hand and make something unique and beautiful. It doesn’t always come out as planned, but the skills you learn are priceless. Winter protection for some perennial herbs is important. There are a couple of ways to maximise the protection of your plants. If they are in containers, bring them inside or cover them with a purpose made material, as you do with fruit trees. A frost blanket can work well and allow you to leave some of the hardier herbs in situ. Adding 4 inches of mulch around the base of your herbs can help keep soil temperatures higher. Cold can damage roots and kill the plant, mulching is a quick and easy way to help alleviate the problem. I use cedar mulch which is long-lasting. Straw and leaves are a low-cost alternative. 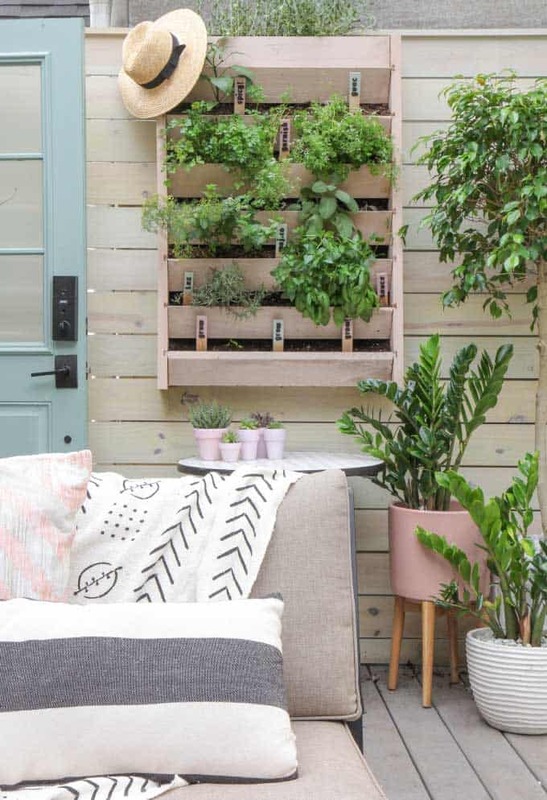 We’ve considered WHY we should plant a herb garden, where we could plant it, and some nice examples of how it could look in your home. Do you feel ready to move ahead and get something started? Got any inspiring ideas for growing herbs? Do you have an awesome herb garden you want to share? Leave a comment and email me via the contact page. I’d love to add your herb garden and homesteading ideas to this page. That’s all herb lovers, I’ll sign off and leave you with a cool infographic.